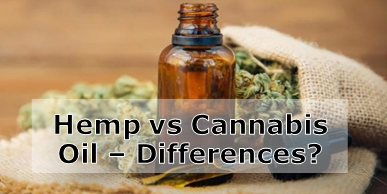 Many people assume that hemp and cannabis oil are the same, without any differences. But we can pinpoint for you several differences between hemp and cannabis oil. You will then know which oil is best for general health and which oil is best for medication. Hemp oil is cold-pressed from the seeds of the cannabis plant. It contains very little CBD and only traces of THC. This oil is a nutritious accompaniment to any meal as it a natural anti-oxidant and is the only natural source of perfectly balanced essential fatty acids – 3:1 ratio of Omega 6 to Omega 3!. Hemp also contains Vitamin D, essential for the absorption of calcium which vegans need. Hemp seed oil is rich in iron and magnesium, Vitamin E, carotene and other antioxidants. Pour it over salads and pastas and feel great almost immediately! Cannabis oil is rich in cannabinoids, or chemical compounds, which are used to treat various health conditions, of body, mind and spirit. The two most commonly used cannabinoids in medical cannabis oil are tetrahydrocannabinol (THC) and cannabidiol (CBD). THC has psychoactive qualities (it makes you high) while CBD has no side effects, is anti-psychotic and has numerous healing benefits. THC is also a natural healing compound and is best used in combination with CBD so that it loses its psychoactive properties. 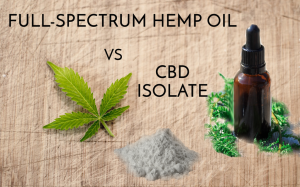 Some hemp is grown to contain CBD and this CBD hemp oil works with the endocannabinoid system, much like medical cannabis, to relieve numerous issues of an imbalanced immune system. CBD hemp oil comes from industrial hemp plants and the oil is extracted using CO2 to ensure that it is packed with CBD and other useful phytonutrients. Medical cannabis oil, on the other hand, comes from the cannabis plant, Cannabis sativa, and is packed full of CBD, THC and other cannabinoids. Some plants are bred to be rich in THC while others are rich in CBD. THC is still not legal in many countries and when it is blended with CBD it is used by medical practitioners as medical cannabis. Many people prefer to use the THC : CBD cannabis oil to treat pain and inflammation, chronic disease and the side effects of chemotherapy, for example. Then hemp oil is a great addition to meals, but also to your present health status quo. When choosing the right medical cannabis oil, it is best to source the oil that best suit the condition you are treating. THC creams work wonders for psoriasis, eczema, acne and other skin disorders, without making the user high. CBD can be taken orally for pain and inflammation, seizures, spasticity, psychosis, anxiety, stress, depression, nausea and vomiting, headaches, insomnia and much more. 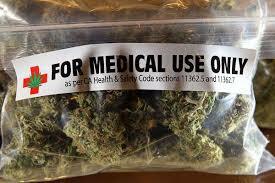 THC is a great panacea for low appetite, glaucoma, nausea and pain. The THC : CBD blend is best for instant results and no psychoactive side effects. In a nutshell then, hemp oil is mostly used as a nutritional health supplement and contain traces of CBD but it can be grown to have more CBD in which case it is useful as a medical therapy. It will always be milder than medical cannabis oil, however, which is a potent oil used to treat medical conditions including cancer. Cannabis oil can be high in CBD or THC or both. Chat to us about your cannabis oil or hemp oil needs and we can explain the differences.